Polly’s Spring Postcard program communicates valuable and crucial information to us in a timely manner to manage your flowers, gardens, and landscape in accordance with your schedule and specifications. By completing the postcard your garden service wishes can be made clear with a few simple steps. Current Polly’s P&P Garden Services Clients – CLICK to fill out your 2019 Spring Postcard! Please read the following information for a more thorough explanation of each postcard section. The E-Postcard form begins after these instructions and hints. You may click the Postcard image above or this LINK to take you directly to the E-Postcard. If you have outdoor water sources turned off for the winter, please contact your Caretaker, Plumber, or Irrigation Specialist and schedule to have your water ON by May 1st to ensure timely flower planting. Whether you received your postcard via mail or email, your 2018 History has been provided to you to help you make Your 2019 Plan. This refers to the scheduled frequency Polly’s crew will visit your home to care for your gardens. If your flowers & gardens looked great in 2018, choose “Same as last year” to continue with what works. If you Desire a change to your Care-Plan, choose that option and we’ll work with you to provide the service level that works best for you. Note: Upon receipt of your signed postcard, perennial gardens are automatically scheduled for a spring clean-up and fertility application as soon as weather allows. This may also include ornamental shrub pruning as required. Circle Yes here and we will be in touch to suggest ideas to brighten your spring! We plant summer flowers for many of you, so this is a very important date for you to schedule with Polly’s. There is a limited amount of time to plant flowers between Memorial Day* and July 4th and you need to reserve your date with us now to ensure we can accommodate your request. 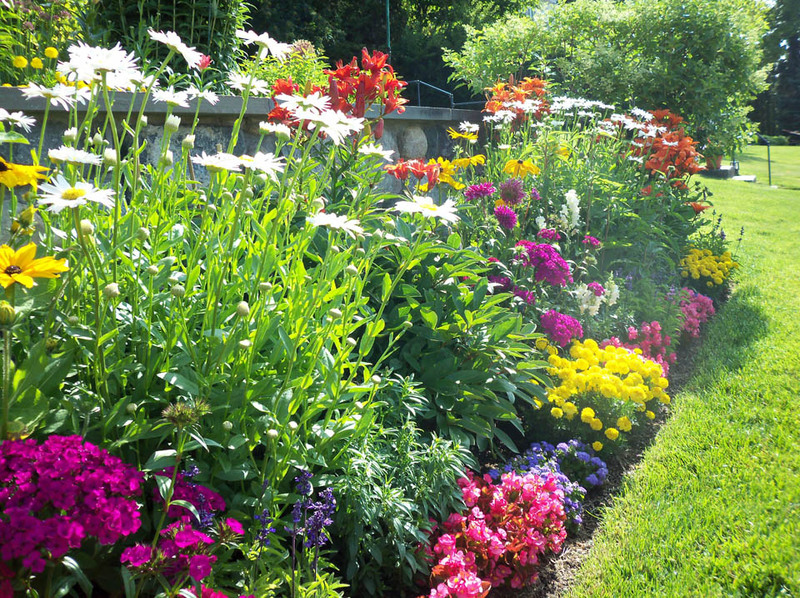 Choose the date you wish to have your summer flower planting completed and we will place you in our schedule on a First In, First Choice basis. *You may request Pre-Memorial Day planting however, due to frost concerns in Northern Michigan, we cannot guarantee frost-free planting of summer flowers prior to Memorial Day. Some sites are better suited to withstand spring weather and temperature fluctuations. We will work with you if your site meets such criteria. We offer this area if you wish to improve anything within your garden landscape. New garden areas, changes to your garden services, reworking current gardens, etc. Jot a note here and we will contact you to discuss. Please sign and return your postcard as a confirmation you wish to retain Polly’s gardening services for 2019. Instructions for signing electronically are below. If you did not receive a physical postcard you have used the E-Postcard in the past and will receive an email with links and your 2018 information. Please complete your 2019 Spring Postcard here, online or mail it in so we receive it no later than February 28. Please remember, the sooner we receive your Postcard, the sooner we can schedule your services.